I first saw the orthoptist who asked me about my eye health, and then checked my vision, eye pressures and eye movements. I then had some scans of the front and back of my eyes - these were done by the ophthalmic technician. Because they thought I had cataracts, the ophthalmic nurse practitioner had a chat to me about the pros and cons of cataract surgery. While waiting, I saw my friend Burt who was going to have a new artificial eye fitted by the ocularist." "By the time I saw the ophthalmologist, I already had a good idea of what cataract surgery was all about. It was confirmed that I had cataracts, but I didn't feel that they affected me enough to have surgery. I then went to update my spectacle prescription from the optometrist. He told me that as soon as the optician has cut and fit the new lenses, he would contact me to collect the spectacles." Dazed and confused? Many people are. This is unsurprising considering that to have an eye check, you sometimes see so many different people and you're wondering who they all are. Well, here's a plain language explanation of the different eye health professionals that you may encounter the next time you go to have your eyes examined. An ophthalmologist, also known as an ophthalmic surgeon, is a medical doctor (MD) trained to provide the full spectrum of eye care, including prescribing medicine and spectacle prescriptions, treating eye diseases (such as glaucoma and age-related macular degeneration), performing ophthalmic laser (such as for diabetic retinopathy) and performing delicate eye surgery (such as retinal detachment surgery). To become an ophthalmologist, you must first graduate as a medical doctor from medical school. After at least a year of internship or housemanship, you need to undergo formal specialist ophthalmology training as a resident or registrar. This is when you build up the necessary clinical and surgical skills to become competent in all aspects of eye care, including the prevention, diagnosis, and medical and surgical management of eye conditions as well as associated general medical conditions. 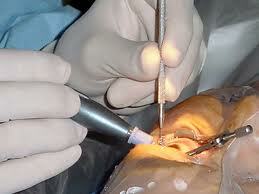 To become a fully trained ophthalmic surgeon, you are looking at at least 10 years of formal study and training. After completion of ophthalmology training, an ophthalmologist may spend another year or two in fellowship programs to specialize in certain fields. This is how you get specialists in retina, cornea, uveitis, and so on. Some prefer not to operate; these ophthalmologists are sometimes also known as ophthalmic physicians. In summary, an ophthalmologist is a specialist who is qualified by lengthy medical education, training and experience to diagnose, treat and manage all eye and visual systems and is licensed by a state regulatory board to practise medicine and surgery. An optometrist, also known as a doctor of optometry (DO) in the United States, is an eye health care professional who is licensed to provide primary eye care services. These include diagnosing disorders of the eye and the visual system, prescribing spectacles and contact lenses, and administering low vision aids for the visually impaired. As primary eye care providers, optometrists play an important role in screening and act as an entry point into the healthcare system. In certain countries, including the United States, United Kingdom and Australia, optometrists are allowed to prescribe pharmaceutical medicines to treat certain eye conditions. 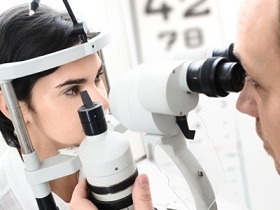 Optometrists who specialize in the medical treatment of eye disease are also known as therapeutic optometrists. Please note that optometrists are NOT allowed to perform eye surgery. However, in the state of Oklahoma in the United States, optometrists are licensed to perform non-incisional laser refractive surgery, including photorefractive keratectomy (PRK). To become an optometrist, you need to undergo formal university training (which can be up to 5 years) and graduate with a degree in optometry. Once qualified, you can choose to be retail-based, hospital-based, or even have a little bit of both. An optician, also known as an optical dispenser, is someone who adjusts and fits optical products such as spectacles and contact lenses. The optician is responsible for dispensing the prescription for spectacles or contact lenses based on the recommendations of the ophthalmologist or optometrist. There is currently no formal education or training requirement to become an optician. Most either receive informal on-the-job training, or undergo a apprenticeship. There are now colleges and universities offering certificates and associate degress in opticianry. An orthoptist is an eye care professional specializing in the diagnosis and management of eye movement and binocular vision problems. The orthoptist helps the ophthalmologist manage eye conditions such as amblyopia, squint and stroke. In some countries including the United Kingdom and Australia, orthoptists have increasingly expanded their role to include diagnosing ocular disease and performing various eye tests (such as refraction and visual field testing). 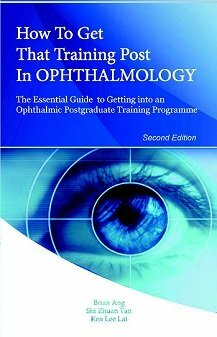 To become an orthoptist, you need to undergo formal university training. At present, orthoptics is still a relatively small specialty with only a few universities worldwide offering this degree. As with optometrists, orthoptists are NOT allowed to perform eye surgery. An ophthalmic nurse practitioner is a registered nurse who has an interest in diagnosing and managing eye diseases. The various roles of an ophthalmic nurse practitioner include: triaging patients in Eye Casualty / Emergency Department, performing initial eye assessments, diagnosing and managing common eye disorders, removing corneal foreign bodies, counselling patients prior to surgical or diagnostic procedures, and organizing invasive investigations such as fluorescein angiography. Some of these roles may overlap with that of the optometrist, orthoptist and ophthalmic technician. To become an ophthalmic nurse practitioner, you first have to qualify as a registered nurse, usually by obtaining a degree in nursing from a university. Thereafter, much depends on in-house, on-the-job training to gain the necessary skills to perform eye examinations and diagnose eye disease. At present, there is no formal postgraduate training to become accredited as an ophthalmic nurse practitioner, although the University of Sydney in Australia does offer a Masters qualification in ophthalmic nursing. An ophthalmic technician, also known as an ophthalmic assistant or ophthalmic medical technologist, helps the ophthalmologist to diagnose and treat eye problems by conducting the initial eye assessment and performing various tests and scans. The duty of an ophthalmic technician may also include patient counselling and assisting with eye surgery. In the United States, ophthalmic technicians are certified by the Joint Commission on Allied Health Personnel in Ophthalmology (JCAHPO) on a 3-yearly basis. An ocularist is an eye care professional who specializes in the creation and fitting of ocular prostheses or artificial eyes (see right) for people who have lost an eye or eyes for whatever reason. 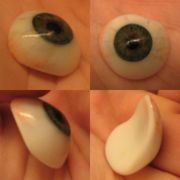 This process involves taking an impression of the eye socket, changing the shape of the plastic prosthesis, coloring the iris, fitting and adjusting the prosthesis in the patient's socket, and teaching the patient how to take care of the prosthesis. At present, there is no specific training program or course of study to become an ocularist. In North America, the certifying agency for ocularists is the National Examining Board of Ocularists (NEBO).